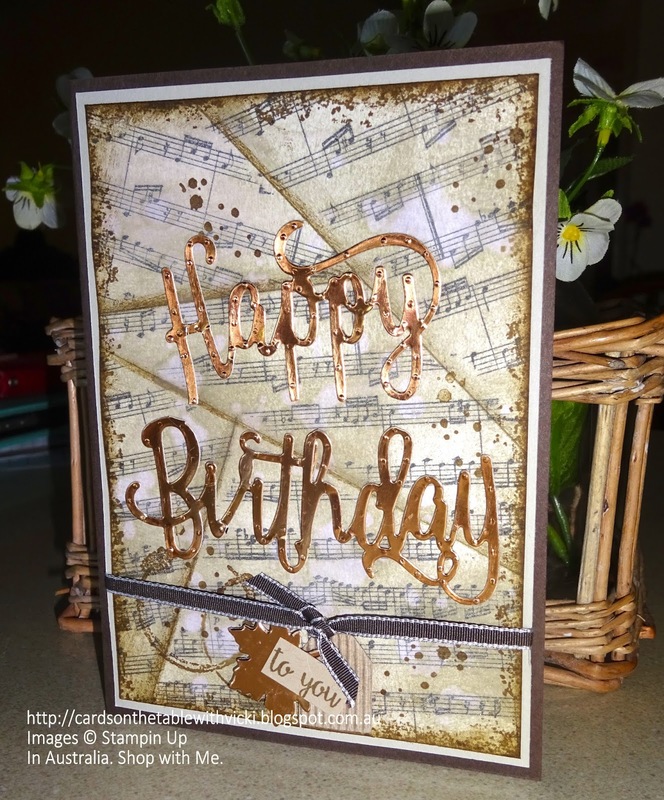 Featuring: Sheet Music Background Stamp, Retiform Technique, Happy Birthday Thinlit, Timeless Textures Stamp Set. Have you seen the Retiform Technique making its way around the card world lately? 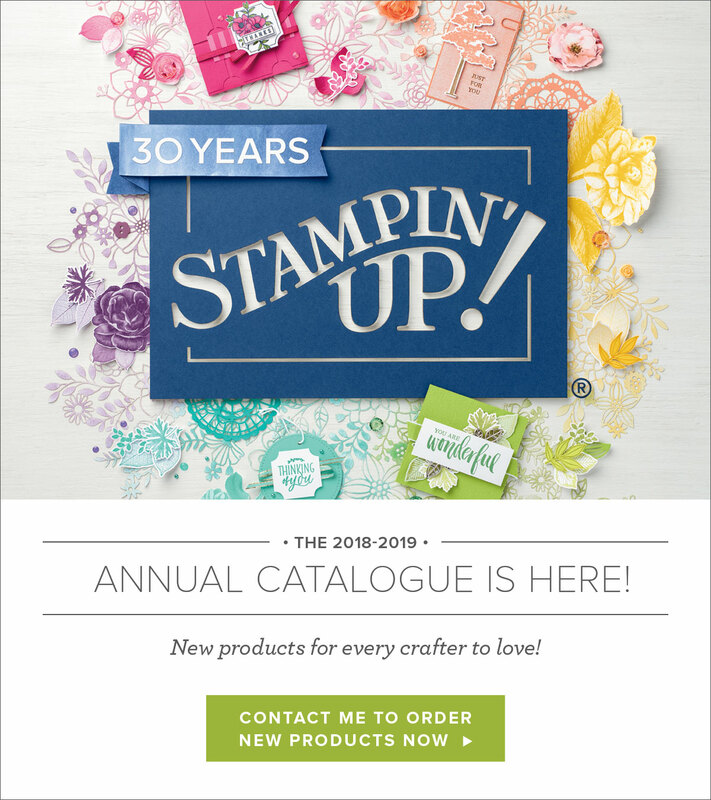 I would venture to call it "Retro Retiform" as it is a technique I remember from years ago. 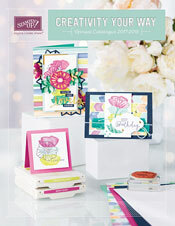 It is basically layering your stamp over your background piece using post it notes or paper to mask off as you go. Sponging each piece to give it depth is good. A vintage technique seemed to call for a vintage style card. 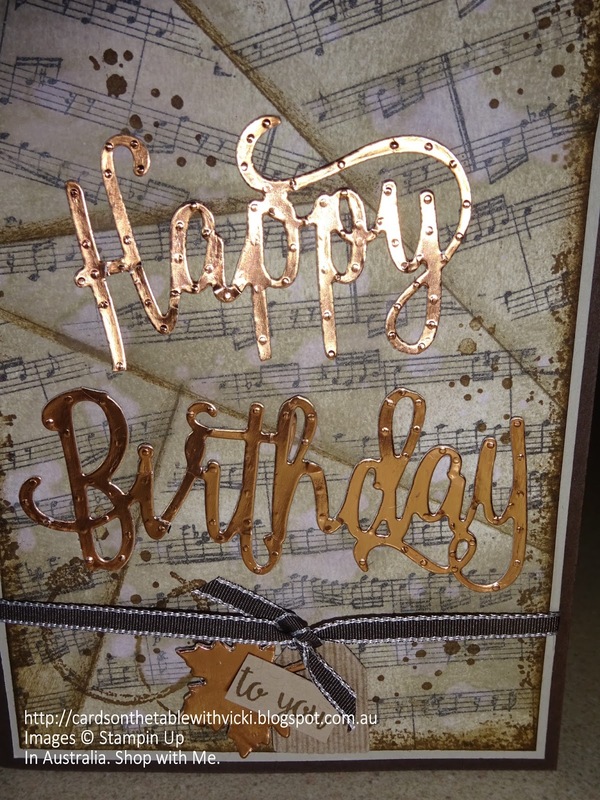 I decided to use my Sheet Music Background Stamp for this and stamped around the card using black ink. I sponged at each edge with soft suede ink. 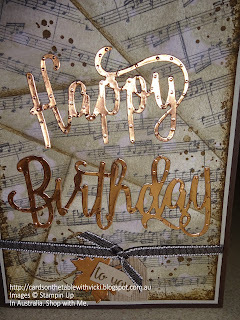 I have used my sponge roller to add Crumbcake ink across the whole card. Then using my Aqua painter I squeezed out droplets of water around. I dried my cardstock with my heat gun and the water droplets create lighter areas over the piece. 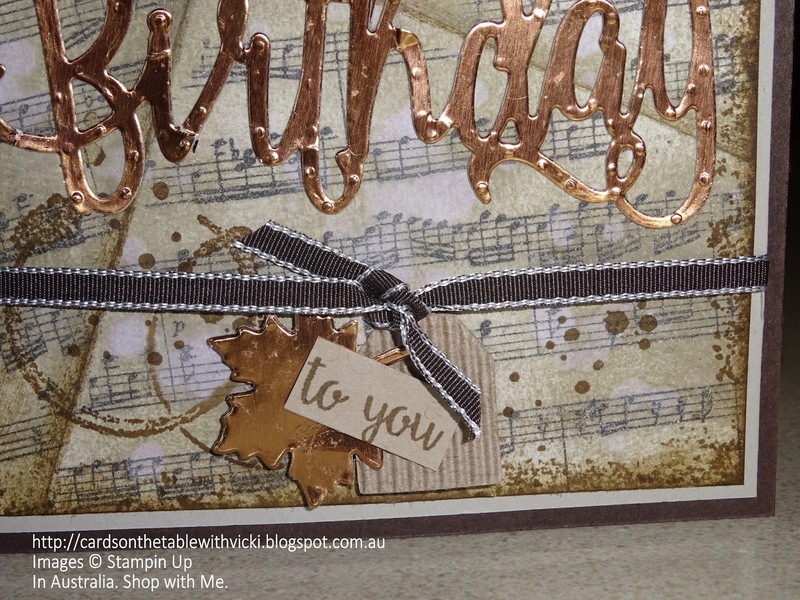 I then used Soft Suede Ink and Timeless Textures Stamp Set to add ink spots, coffee marks and the speckled edges. I also used my Early Expresso Marker (fine Tip) to draw in the lines across each piece. 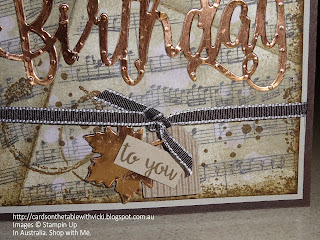 The Happy Birthday Thinlit in Copper Foil, a leaf from the Seasonal Layers Thinlets, Early Expresso ribbon and a little corrugated tag from corrugated elements, finished my card off nicely. We took Rosie out to the Gatton Farmhouse for a few days this week. So what better way to finish off a Vintage Post with some photos of a vintage house. LOL. (and our favourite Tenterfield Terrier). Here she is saying I want to be carried up the steps please. Keeping an eye out from the front yard. She loves sitting out on the front lawn and watching the broccoli grow. haha. Watching out for Dad to come home for lunch. hehe. 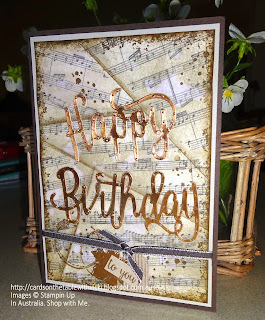 Happy Birthday Thinlet Retiform technique Sheet Music Background Stamp Technique card Vintage style.